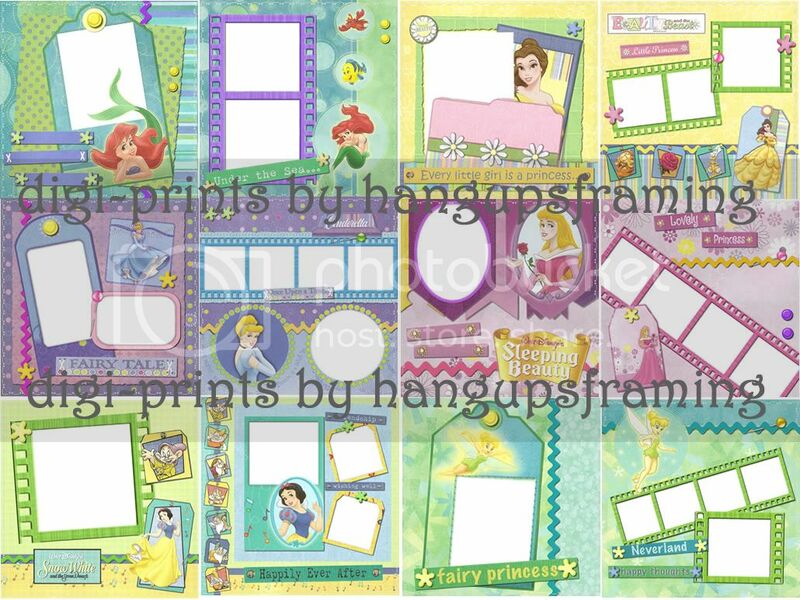 This week RLR Creations is working on a highly requested, new digital scrapbooking kit that will be a collaboration of the Disney Princesses all in one kit! 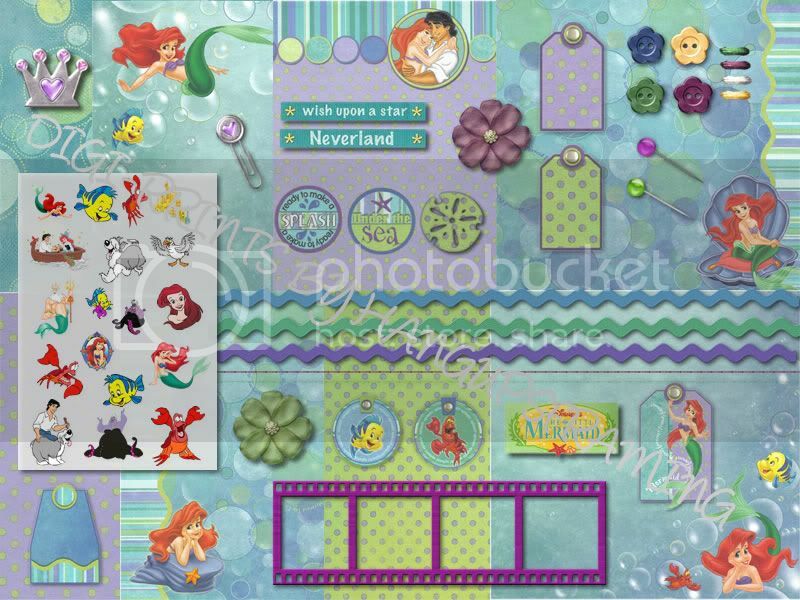 This kit will work well on its own to scrapbook your favorite Disney Princess moments, but it will also work great when coordinated with RLR Creations other Disney Digital Kits found here! This kit is all about having all your favorite Disney Princesses all in one! 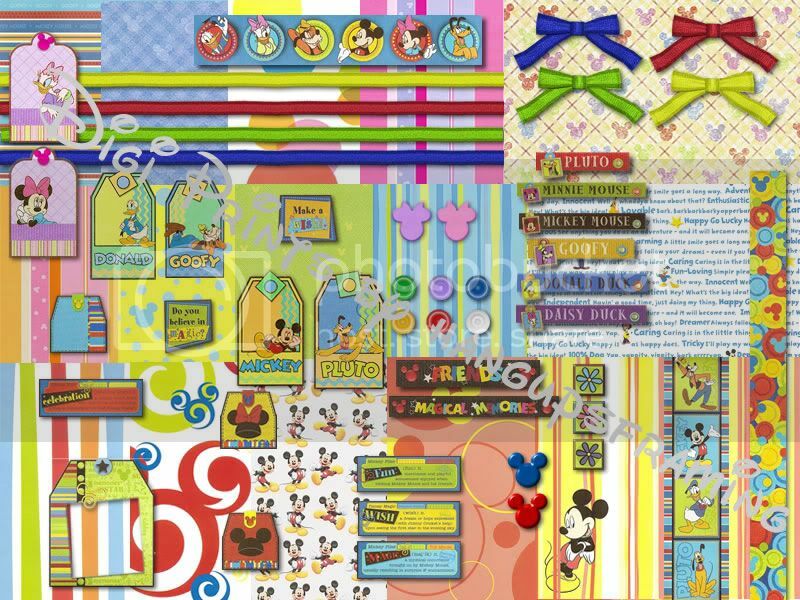 It includes decorative papers and elements, such as Princess theme embellishments, bows, flowers, crystal hearts and glitter splash, rhinstone brads, princess digital "stickers", and so much more! 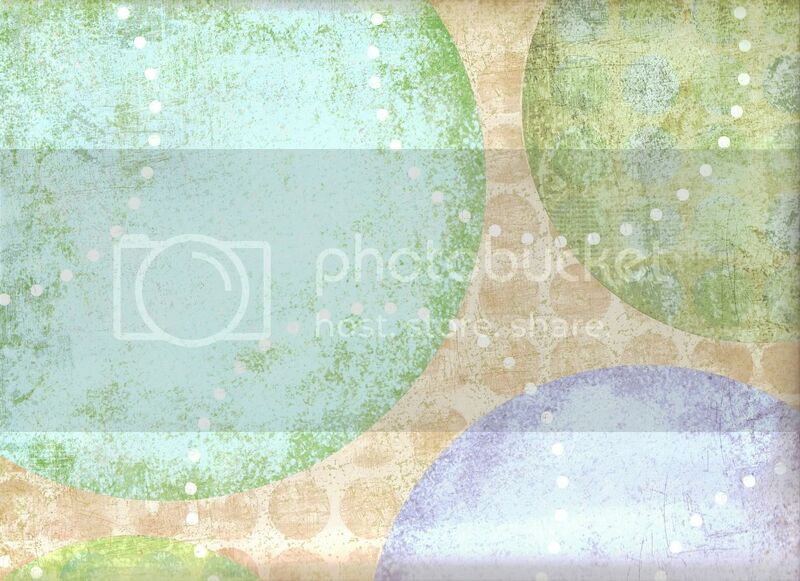 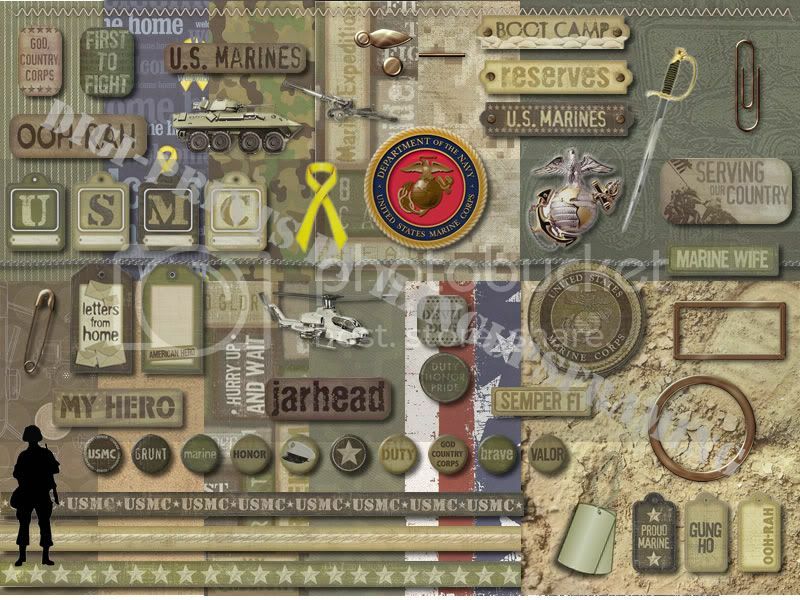 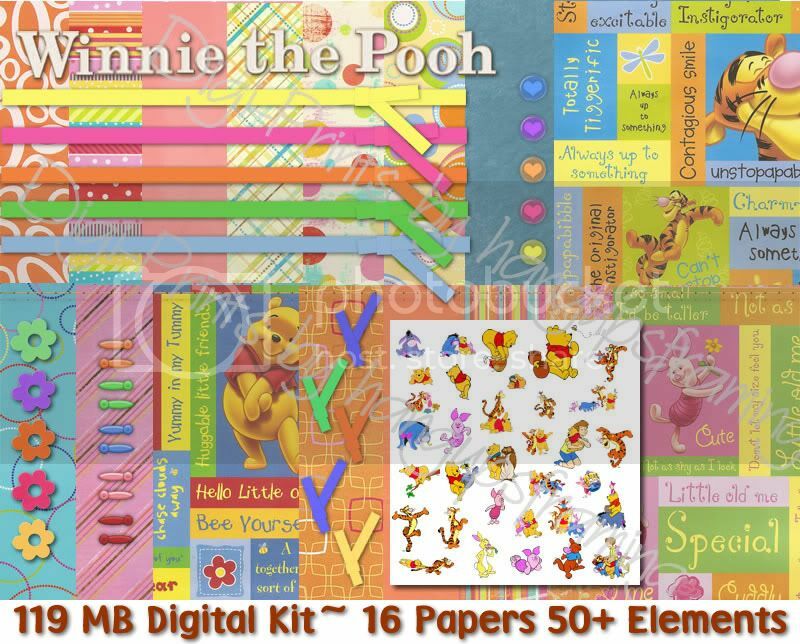 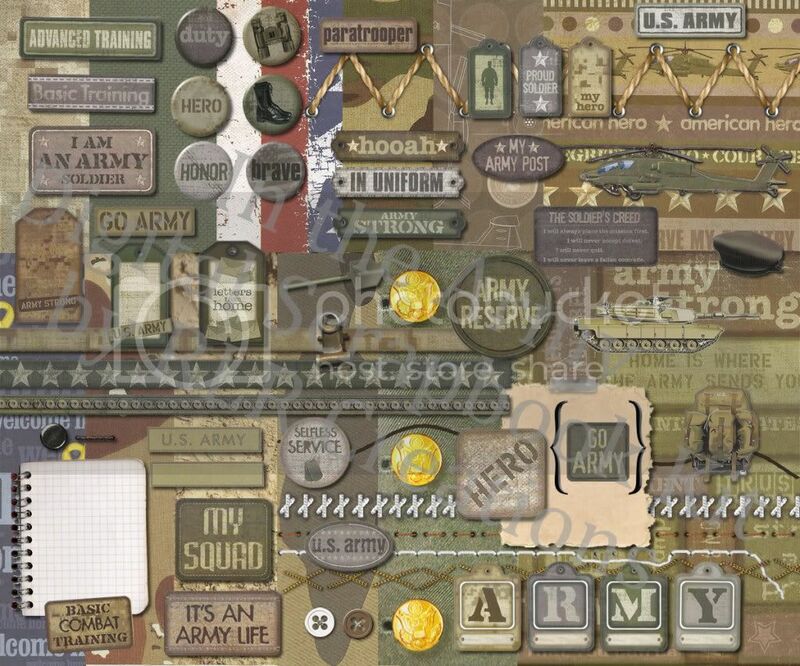 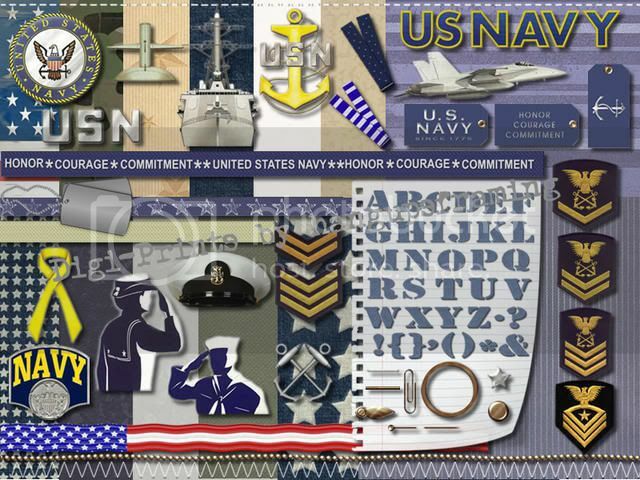 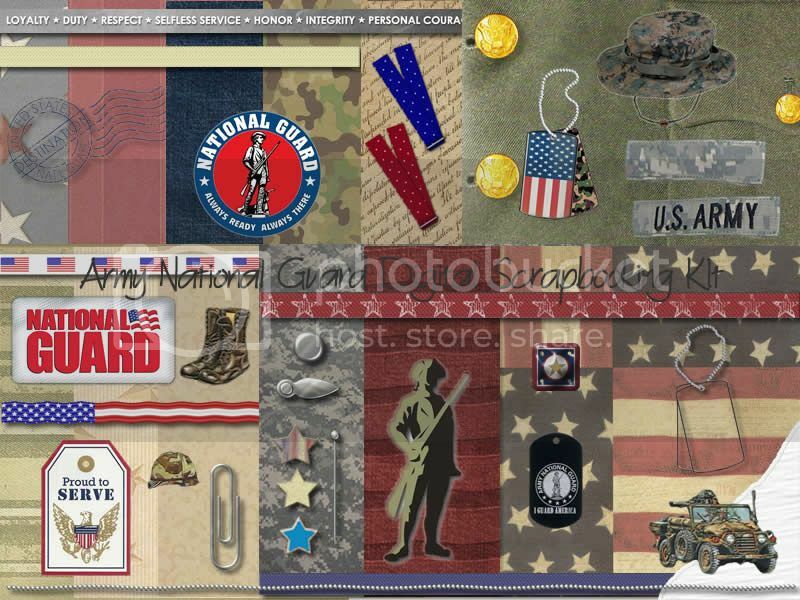 This entire digital scrapbooking kit will be available this Friday, July 30, 2010. 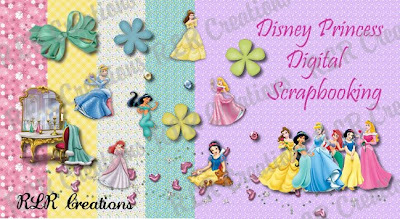 Remember to pop back in for Freebie Friday to download something free from RLR Creations that will revolve around this new creation. 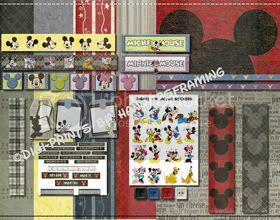 The entire kit will be able to be purchased this day also!! 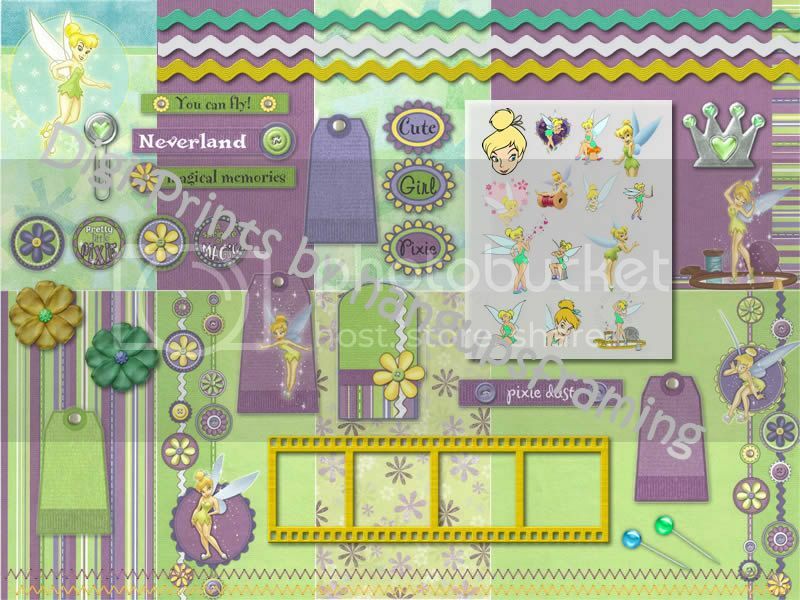 Don't forget to check back in tomorrow for this weeks Template Tuesday to download a free digital scrapbooking pre-made layout. 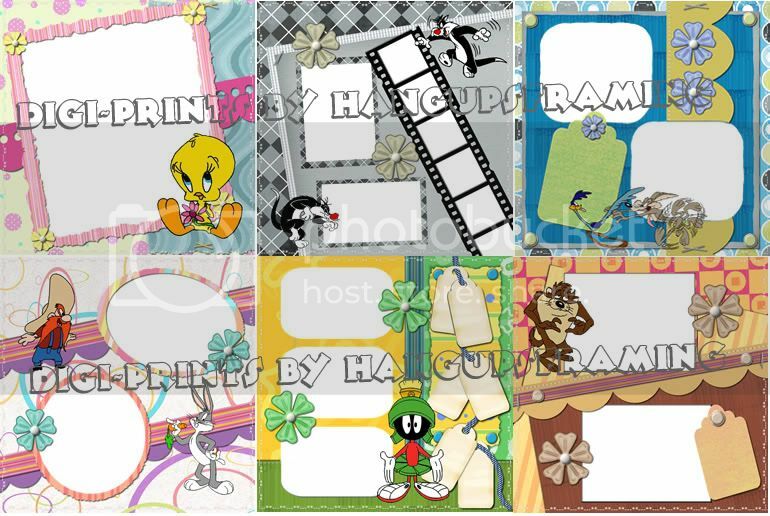 Remember these templates can be used to drop in your own papers, elements, and photos to create digital scrapbook pages.